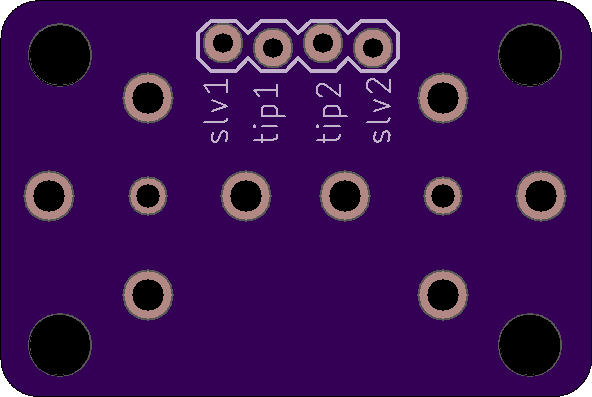 2 layer board of 1.18 x 0.79 inches (30.0 x 20.1 mm). Uploaded: August 27th, 2018 11:28. 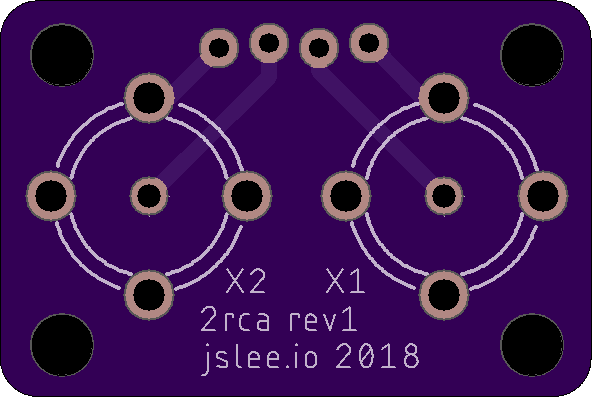 Just a little PCB for bringing out RCA connectors to a 1u tile.